Like we talked about last week, thoracic spine rotation is hugely important for athletes, and especially rotational athletes. This weeks exercise touches on t-spine mobility once again. In this exercise athletes start in a pushup positon with a straight line from the shoulder to the ankle. 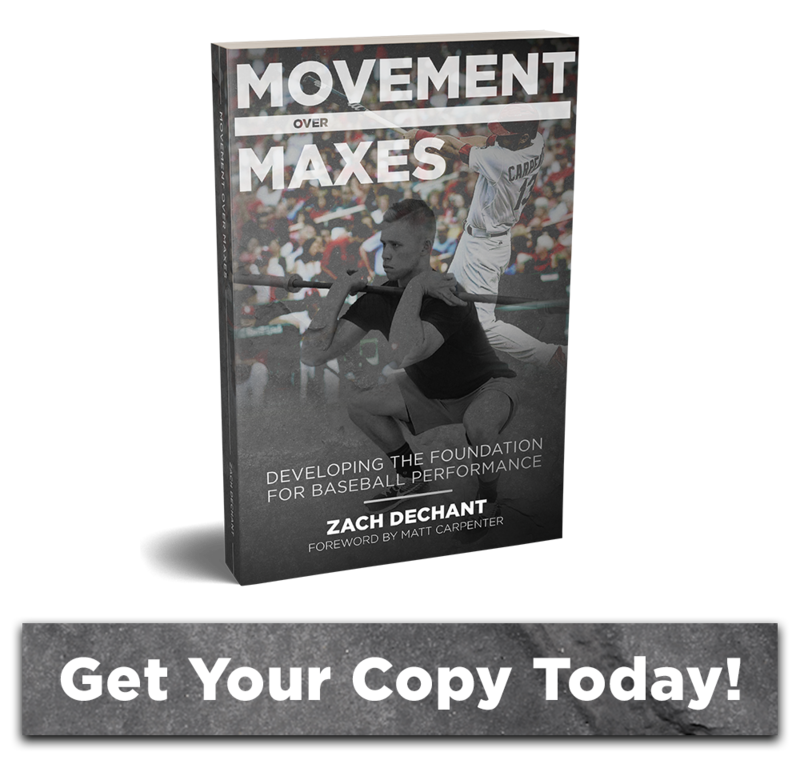 Athletes will take a step outside of the hand and drive the hips towards the ground. We teach them to squeeze the back glute in order to open up the frontside hip. In the picture the athlete steps up with the left leg, drives the hips towards the ground and squeezes the backside glute (right). Try to keep the trailing leg from bending as this reduces the ability to stretch the hip and decreases activation in the glute. Next, we rotate the inside arm up towards the sky reaching as high as possible and pausing. Focusing on reaching towards the sky will fire the obliques and the lats causing many beginners to cramp. Errors to watch for are athletes falling over to one side or rotating the hips with the shoulders. We want the lower body to stay stabilized and pure rotation to occur in the thoracic spine. I do this as part of our t-spine series with all our throwing athletes and as a part of our daily warmup. We perform 5 reps per side.